Safely travel from the airport to the seaport or just cruise around town with the best luxury transportation serving Galveston, Texas. With more than 20 years of impeccable service and consistently voted as the number 1 luxury transportation service company, C&S Executive Transportation has a wide range of top-of-the-line vehicles from luxury sedans, mini-vans, to luxury executive coaches. Our company offers chauffeur-driven vehicles for airport transfers, seaport transfers, hotel transfers, or just city tours. Located southeast of Houston, Galveston is a coastal town that is part of Texas Galveston County. It is known for its 32-mile stretch of beach with pristine, crystal clear waters coming from the Gulf of Mexico. As an island county, Galveston is much more famous for the various cruise lines that bring locals and tourists to nearby islands and beaches of Jamaica, The Cayman Islands, Honduras, Belize, and many more. 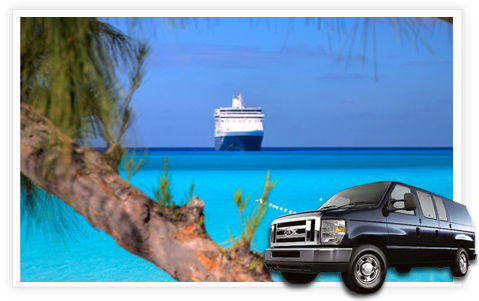 Because of this thriving tourist attraction, C&S Executive Transportation has been a leader in airport to seaport transfers as well as hotel transfers for most of the locals and tourists visiting this splendid area.